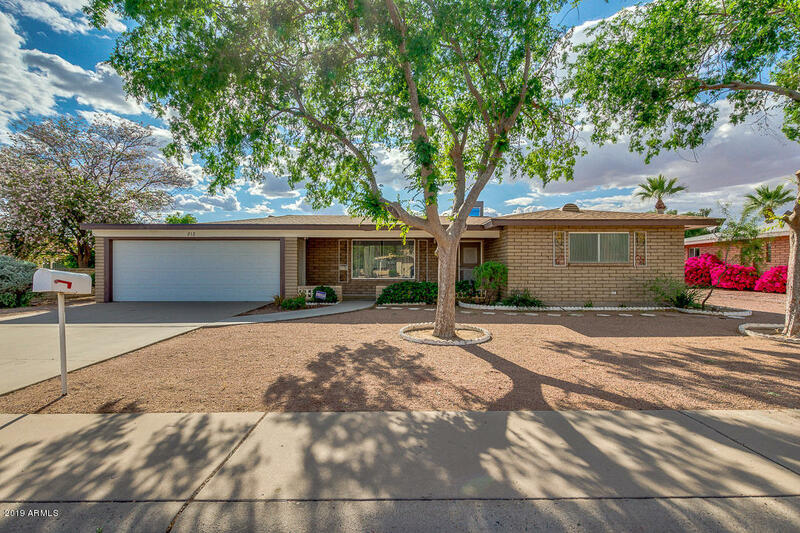 Wonderfully updated home in 55+ community of Dreamland Villa. Kitchen cabinets, counters and appliances have all been updated. New patterned carpet throughout. Master bathroom has been updated with wider door entry for easier accessibility, new curbless walk in shower. Full 2 car garage with built in cabinets. New roof recently installed and HVAC system only 2 years old.